Holleman Field is located southwest of main campus at the intersection of Avenue M and Josey Street. 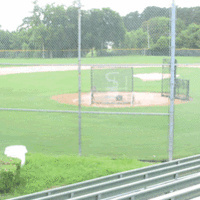 It served as the home ballpark for the SHSU men's baseball team from 1948 to 2005. The Intramural Sports program now plays some of their outdoor sports on these two fields. Located off of Josey Street and Avenue M, they are designed using an open space concept to allow for a variety of events, drop-in play, and reservations/rentals. So unique blog post you have shared. http://webhostingonedollar.com/godaddy-rs-99-web-hosting-domain.html find here hosting products. I loved it it was so much fun! But where was the free food?